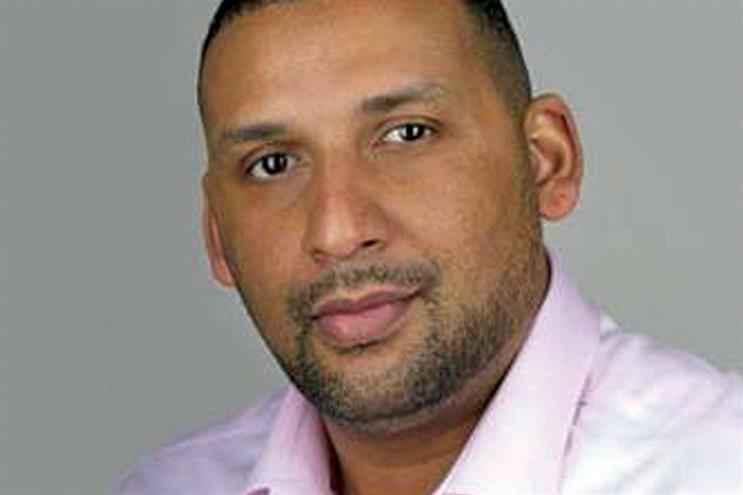 It is an important week for Paul Sesay, founder of the National Diversity Awards and the ITV Beam Awards, as the Metro unveils The Inclusive Top 50 UK Employers and and he liaises with sponsors including Microsoft, GHCQ and PWC. My week starts off pretty much the same as every working parent across the country at this time of year, making sure the kids have enough to keep them occupied while we all suffer through their last week of summer holidays, before finally getting myself ready for a busy day ahead. I normally arrive in the office by 9am and the first thing I do is try and make a dent in the emails that have piled up over the weekend. Since I know that I have a day filled with meetings ahead of me, I’m almost sure I’ll not get the time to respond to everything of importance. After my daily team meeting I set about touching base with clients and partners of my diversity initiatives The National Diversity Awards, The Beam Awards and The Excellence in Diversity Awards. It’s vital that I check in with senior representatives of all the major organisations ahead of the National Diversity Awards that take place in Liverpool on the 16 September. The National Diversity Awards celebrate the excellent achievements of grass-root communities that tackle the issues in today’s society, giving them recognition for their dedication and hard work. In light of the importance of this event, it’s vital that all of our sponsors such as Microsoft, GCHQ and PWC are happy, so I always try to ensure that I maintain regular contact with each organisation. After a couple of hours spent focused on this, I then shift my attentions to my newest venture the Beam Awards, which will celebrate icons from the Bame (black, Asian and minority ethnic) community. This is being filmed by Sugar Films and will be aired on ITV, the first of its kind to be aired in prime time slot it’s important that myself and the production company are on the same page. First on my agenda is to kick off with marketing the announcement of The Beam Awards tickets through my network since they officially went on sale this morning. Also the official unveiling of The Inclusive Top 50 UK Employers List is later this week. Spearheaded by another of my initiatives, Excellence in Diversity and published by the Metro Newspaper, this is a definitive list of UK based organisations that promote inclusion across all protected strands of diversity, throughout each level of employment within their organisation. The rest of the day is spent meeting with my media manager and PR agency JH Public Relations to go over the marketing materials and PR strategy for The National Diversity Awards and liaising with our various partners for this year’s award ceremony. Next I begin preparing for my meetings for the following couple of days in London before heading to the gym and then home to face the family. Today’s early start sees me catching the train into London from Liverpool for the first of my meetings with HSBC to discuss potentially becoming a sponsor for the Beam Awards. Hosted by Sir Trevor McDonald, these awards are ground breaking in ensuring that high profile people from the worlds of celebrity, sport, music, politics, film and business, come together to celebrate talented individuals who have excelled in these areas and have inspired and encouraged the next generation. Having brands such as HSBC and ITV support this new platform is both exhilarating and moving. I also have another exciting new diversity initiative in the pipeline with some amazing brands lined up to come on board, so it’s back to the hotel for the night to put pen to paper to map out how this new organisation will be structured. The Inclusive Top 50 UK Employers List has today been unveiled and published in London’s Metro, this is a pivotal moment for my team and I since a lot of work has gone into compiling this list. Compiled by a dedicated panel of judges, organisations have been scored on their performance in a range of areas within the diversity arena. This exclusive resource has identified the true leaders in this field, focusing on representation at management, senior, executive and board level. The List recognises the outstanding efforts of employers that are on a journey to reinforce their commitment to attracting and retaining a truly diverse workforce, achieving equality, diversity and inclusion at its purest form. I then move on to my next scheduled conference calls and meetings with GQ Magazine and EY to discuss the possibilities of them coming on board for the Beam Awards. Finally jumping into a taxi to the station to catch the train back to Liverpool. Despite the hectic pace I must say it has been a productive time spent in London building the profile of each respective initiative and making sure the right brands are in place to support them. Back at the headquarters today I take some time to catch up with my team, making sure everything is still running smoothly and that everyone’s head is still in the game after a busy week and an even busier one to come. After sending follow up emails to all the brands I’ve met with over the week, I begin making preparations with the team for The Beam Awards 2016 Judges’ meeting that will take place next week. Nominations for The Beam Awards close on Sunday 4 September, so we need to make sure a stringent plan is in place to announce the closing date for two days’ time. Nominee Evidence is filed accordingly and all evidence begins to be filtered through to The Beam Awards Judges. An exciting time for our team as we await the first official shortlist. My biggest inspiration: James Klass is my biggest inspiration. James took me under his wing when I first arrived in Liverpool many years ago and gave me the vision that I could be anything I desired with hard work and dedication. James was a black Radio DJ for Radio City 96.7, Juice FM (formerly known as Crash F.M) and BBC Radio Merseyside 95.8fm with a career spanning 25 years. In 2009 James was awarded the Liverpool Black History Month Lifetime Achievement award for his work in the Liverpool radio industry, and within the black community of the city. Also he has had an award named after him in his honour titled, The James Klass Arts & Media Award. Not a lot of people know this about me... I was fostered from a very young age, and was raised with no ambitions and no role models to guide me through life. It was only when I came to Liverpool that I met James and decided that I wanted to make a change, not only in my own life but for the lives of others too.